MICROMUN can be commissioned by pharmaceutical manufacturers to develop test methods and to investigate drugs according to GMP. 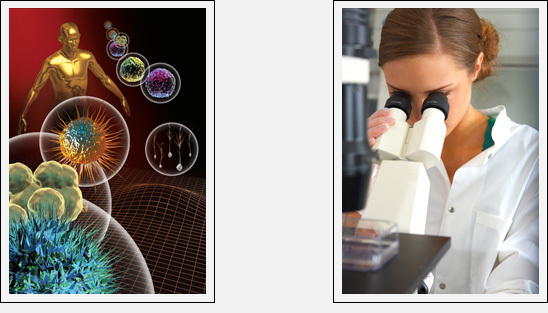 MICROMUN applies cell biological-, molecular biological-, immuno chemical- and biochemical methods for this purpose. MICROMUN provides methods to determine the infective virus burden in drugs which are derived from biological sources. A broad spectrum of animal- and human pathogenic viruses can be screened. MICROMUN has developed assays for the determination of the identity of drugs and vaccines by molecular biological- as well as by immunological methods. MICROMUN carries out quantitative and qualitative determinations of nucleic acid- and protein content of drugs and biological samples. Drug preparations are quantitatively inspected for the presence of bacterial endotoxins with the aid of the LAL assay according to the european pharmacopoeia.